You are here: Home / Alison Lueders / Which 2 Shows Just Got 14 Emmy Nominations Between Them? Which 2 Shows Just Got 14 Emmy Nominations Between Them? I watched both series and was mesmerized by the clear, captivating, science-based information they contained. Trust me – TV has come a long way from the snooze-inducing documentaries of the past. If you missed one or both of the series, don’t despair. Cosmos is available now and Years of Living Dangerously in out on DVD in September. 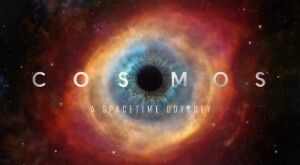 Cosmos received 12 Emmy nominations. Neil deGrasse Tyson is an inviting guide on a journey of amazing scope. Whether talking about Earth’s precise location in the universe, or exploring the operations of a living cell, he speaks like your neighbor next door. He’s clear and plain-spoken. The series touches on many sciences – biology, physics, chemistry, astronomy, electromagnetism, and more. Rather than presenting concepts, the series tells stories – often of the scientists themselves, and how they made their discoveries. It looks like FOX spared no expense on the production. Whether Tyson is standing on actual thawing tundra in Greenland or piloting his “spaceship” through different parts of the galaxy, there are amazing visuals throughout. 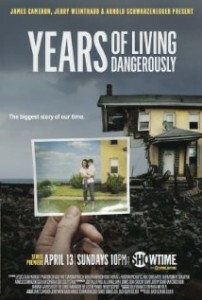 Years of Living Dangerously got 2 Emmy nominations. While Cosmos covers a range of scientific people and discoveries from the distant past into the future, YOLD is very focused on climate change today around the world. The opening sequence follows Harrison Ford to Indonesia to see deforestation first-hand. Another episode features Arnold Schwarzenegger talking about the wildfires that seem to burn continuously now in California. The 9 episodes in this series make the urgency of climate change real and powerful. 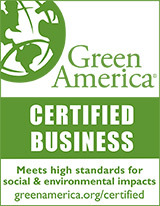 There are no models of sea level rise or graphs of greenhouse gas emissions. Just the stories of real people – from farmers to firefighters and many more in between – who have already been devastated by storms, droughts, and the ever-creeping rise of the oceans.